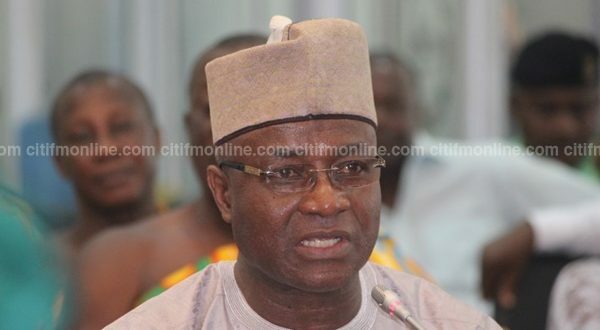 Majority Leader, Osei Kyei Mensah-Bonsu, has asked both the New Patriotic Party (NPP) and the National Democratic Congress (NDC), to rigorously review the cost of internal elections. According to him, the large sums of money spent during these internal processes breed corruption. In Ghana, it is the usual practice for both the party in power and those in opposition to spend heavily on campaigning and on the elections themselves. Speaking at the post budget workshop in Koforidua over the weekend in the Eastern Region, Hon. Osei Kyei Mensah-Bonsu, said “the NPP and the NDC must do a serious introspection of this process that the two parties are engaged in” saying “it is not known in any established democracy”. “If one is to be blunt, the parties spend too much on these elections. We need some corrections in what we do”, he noted. Mr. Bonsu, who doubles as the Minister of Parliamentary Affairs also congratulated the NDC for successfully electing their national executives. This followed former President and fellow flagbearer hopeful, John Mahama, admitting that campaign funds and logistics for election 2016 were diverted, creating issues within the NDC.